A number of DSLRs and mirrorless cameras today come with an important feature called “Electronic Front-Curtain Shutter” (EFCS) or “Electronic First Shutter Curtain” (EFSC), both of which are designed to eliminate camera shake originating from the shutter mechanism of the camera (commonly known as “shutter shock”). Shutter shock is an issue on all modern cameras, both DSLR and mirrorless, particularly when using longer focal length lenses and specific shutter speeds. In this article, we will explore the effects of shutter shock on your images and how you can totally eliminate it with the Electronic Front-Curtain Shutter mode. With the increase of camera resolution on modern digital cameras, we have seen a number of issues arise. Lenses that resolved well in the past don’t seem to cut it anymore on high resolution cameras, computers need to be updated with beefier specifications to handle large RAW files, and camera shake has become much more noticeable in images when fully zoomed in. The latter, in particular, is a rather frustrating issue, because photographers often cannot properly determine the source of the issue. While improper hand-holding techniques, tripod instability and wind are often blamed for blurry photographs, one source of camera shake is rarely thought of – and that is shutter shock. DSLR shooters are typically aware of the mirror mechanism potentially causing camera shake (also known as “mirror slap”), so when seeing blurry images in the field, they often use specific camera modes as “Mirror Up” or features such as “Exposure Delay Mode” in order to reduce or even eliminate camera shake from the mirror. However, it turns out that the DSLR mirror is not the only source of camera shake that can cause blurry images – shutter shock originating from the shutter mechanism opening before the start of the exposure can be equally damaging under certain conditions. Unfortunately, shutter shock can be observed on any camera that has a mechanical shutter mechanism, so it can happen on DSLRs, mirrorless cameras and even some point and shoot cameras. 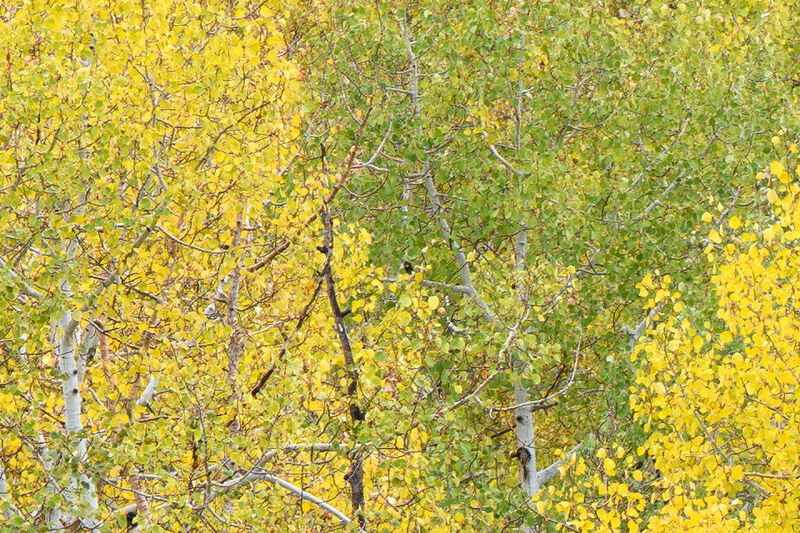 Since this image was shot at 1/8th of a second at 170mm focal length using a 70-200mm zoom lens on a 45 MP Nikon D850 camera, the effect of shutter shock was very noticeable in this image, making it look unusable. At particular shutter speeds relative to the focal length of the lens. The typical danger zone is 1/2 to 1/50th of a second for most lenses. When using long focal length lenses (telephoto and supertelephoto) and relatively slow shutter speeds (typically below reciprocal rule values). When using a camera with an undamped / loud shutter mechanism. So if your camera has a damped shutter mechanism and you are using relatively fast shutter speeds or very slow shutter speeds longer than 1 second, you should be able to avoid shutter shock in your images. However, if your camera has a feature called “Electronic Front-Curtain Shutter” (EFCS), you can eliminate blur from shutter shock completely in your images. Let’s take a look at EFCS in more detail. 2. What is Electronic Front-Curtain Shutter? Since the front curtain is activated at the beginning of the exposure, the vibrations originating from the front curtain might introduce camera shake and result in blurry images. Rear curtain, on the other hand, never causes camera shake, because it takes place at the end of the exposure. This means that if it is possible to eliminate camera shake from the front curtain, it is possible to eliminate blur from the shutter mechanism in images completely. And this is where EFCS comes into play. With EFCS, exposure is started electronically by the camera and ended mechanically by the rear curtain shutter. This means that for EFCS to work, the front curtain must already be open. Well, if one is shooting in Live View mode on a DSLR, or shooting with a mirrorless camera where camera’s LCD or EVF are showing the actual scene, the front curtain has already been raised and light is passing directly onto the camera sensor. In such situations, there is little reason to close the front curtain, only to open it back up again at the beginning of the exposure. Why not take advantage of the already open front curtain, then start the exposure electronically, then end it with the mechanical rear shutter? That’s basically how EFCS works! By not engaging the front curtain in the first place, it is possible to eliminate shutter shock completely. As you can see, the image on the left captured at 1/15th of a second with EFCS turned off looks very blurry compared to the image on the right where EFCS was turned on. The shutter shock was so bad in this case, that the left image looks as if it was out of focus, which it was not. Even extra sharpening in post would not have helped in this case, because there is simply no detail in the image, similar to the example shown earlier. Since a DSLR must move its mirror up before light can even pass on to the sensor, the way EFCS works will be a bit different on DSLRs compared to mirrorless cameras. Even if one has EFCS enabled on a DSLR, taking pictures without being in particular camera modes such as Live View or Mirror Up will not take advantage of EFCS at all, since both the mirror and the shutter must already be out of the way. Unfortunately, you will need to check your camera’s manual to see what modes will work with EFCS. For example, the Nikon D810 only engages EFCS in Mirror Up mode (with and without Live View), so unless you are in that one particular mode, you will still experience shutter shock from the shutter mechanism. The newer Nikon D850 expands EFCS to other modes such as Quiet and Quiet Continuous, as explained in my Nikon D850 review. And if you shoot a Canon DSLR, as long as you are in Live View mode and you have Live View Shooting enabled (if available), EFCS is always turned on by default. If EFCS is so great, you might be wondering why every camera does not have it already implemented and enabled by default. Unfortunately, EFCS does have a couple of disadvantages. Because it takes time to read off the whole sensor electronically at the beginning of the exposure, EFCS can be problematic when shooting fast action – you might end up with a blurry subject in your photo, your images might get under or overexposed, you might see distortion in bokeh when using large apertures, and in some cases, you might even have part of the image cut off as a result. Because of this, camera manufacturers often limit the maximum shutter speed of the camera to something like 1/2000th of a second, sometimes even slower. A mechanical shutter is much faster in this regard, so if you are planning to capture fast moving subjects at fast shutter speeds (such as when photographing sports or wildlife), it is better to turn EFCS off on a mirrorless camera. 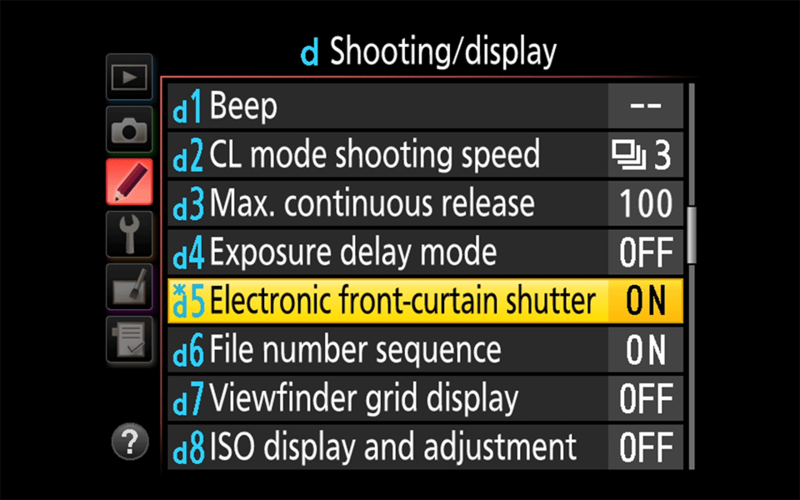 This is not an issue in DSLR cameras, because EFCS is disabled when shooting in Single and Continuous Release modes. Before you dig into your camera menu, please see the section below to see if your camera supports EFCS. And if you cannot find your camera in the list below, it might be a good idea to look into your camera manual or Google and see if you can find anything related to Electronic Front-Curtain Shutter or Electronic First-Curtain Shutter there. If you know that your camera already has the EFCS feature, then check out some of the steps below for different camera brands. 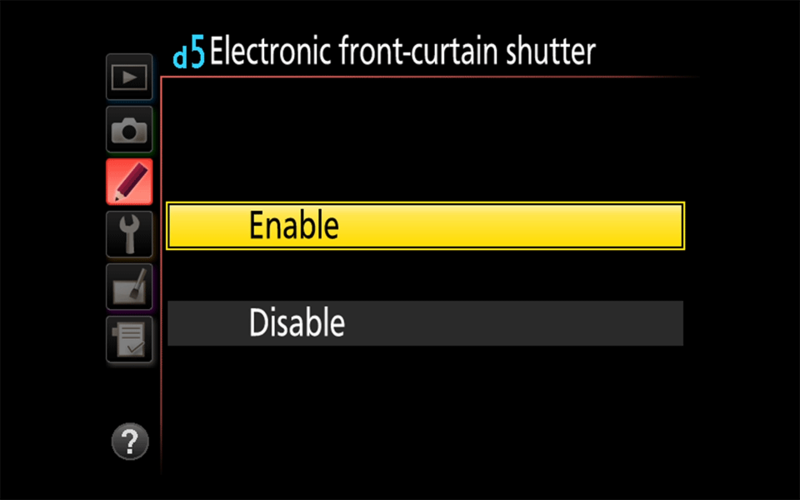 The Electronic Front-Curtain Shutter feature is turned off by default on cameras like Nikon D810 and must be enabled in the camera menu. Once enabled, you must shoot in a mode that supports EFCS. On Nikon D7500, D500, D810 and D5 cameras, you must use Mirror Up mode (with or without Live View) and on the D850 you can also use Quiet and Quiet Continuous modes to use EFCS. Keep in mind that the behavior of Mirror Up changes with EFCS – when engaged, instead of just raising the mirror, Mirror Up also raises the front curtain. You can choose Mode 1 or Mode 2 – both will have EFCS turned on. 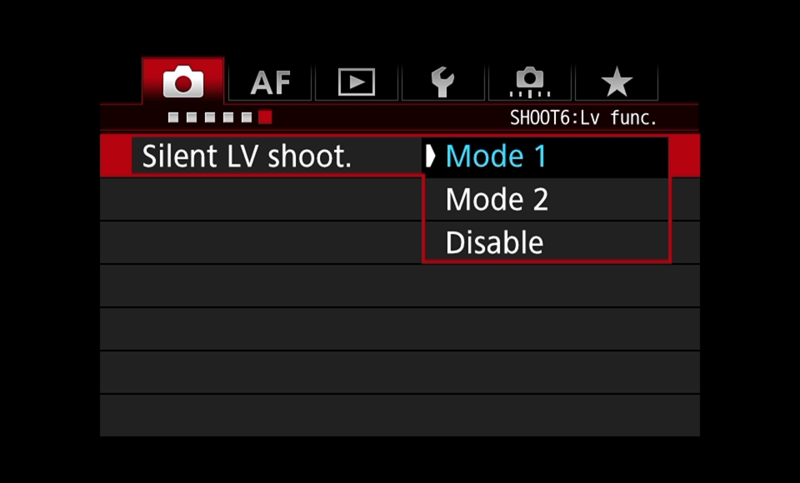 The primary difference between these is that Mode 1 allows shooting continuously, while Mode 2 shoots a single frame. Choosing “Disable” with turn EFCS off. Keep in mind that with Canon DSLRs, you must be in Live View mode in order to trigger EFCS. A word of caution – if you have either AF-C or “Quick Mode” enabled, EFCS will be turned off by default. Always make sure that you shoot in AF-S mode if you want to enable EFCS. Also, if you shoot with flash, EFCS will be disabled. If you have a Sony mirrorless camera, you will need to find the menu item “e-Front Curtain Shut.” within the Setup sub-menu and change it to “On”. On some cameras like the Sony A9, this menu option will be under the Shooting Menu. If you shoot with the Fuji GFX 50S, you will need to visit Shooting Setting -> Shutter Type -> E-Front Curtain Shutter in order to enable electronic front curtain shutter. If your camera has EFCS and it is not listed above, please let us know and we will add it. Actually, EFCS is more important on mirrorless cameras than on DSLRs. To see why one must visualize how the shutter operates on a mirrorless camera without EFCS. Because mirrorless cameras are always in “Live View” mode, the first mechanical curtain is already open prior to the start of an exposure – this is necessary to provide the continuous sensor feed for the EVF/LCD. When an exposure is started, the second mechanical curtain must first be closed so that light to the sensor can be blocked and the sensor reset, after which the first mechanical curtain opens and the exposure begins. Because both the second mechanical curtain is closed and then the first is opened prior to the exposure, the camera is subject to vibration from two mechanical movements instead of the one for a DSLR. Even worse, since the second mechanical curtain closing happens well before the start of the exposure, its vibration will already be resonating at the start of the exposure, whereas the first mechanical curtain’s vibration may not be impactful depending on the exposure time. The net result is that mirrorless cameras without EFCS are much more prone to shutter shock (and even at higher shutter speeds than your D850 example), which is why many models implemented other workarounds, such as a time delay between the closing of the second mechanical curtain and the opening of the first. Note that everything I wrote also applies to DSLRs operating in Live View mode vs their normal viewfinder mode. I believe what you’re referring to is the fully-electronic shutter mode (ie, “silent shutter”), which the D850 also supports. For an EFCS there is no effect on the image from readout speed because the sensor is always read after the second mechanical curtain is closed. The EFCS is a “reset” rather than read, which works by progressively resetting each sets of row on the sensor in a rolling manner. However, a side effect than can occur with EFCS is an exposure band in the image for very fast shutter speeds and when a large aperture is used – this is caused by the difference of shading around a 2D “electronic” (fake) first shutter curtain vs a real 3D mechanical second shutter curtain. Another potential side effect is distortion of bokeh for the same large aperture case. Thank you for the additional notes – I will make the necessary changes based on your feedback. Regarding the second quote, I am aware of the rolling shutter issue that happens due to electronic shutter, but I was not talking about that. Most of what I wrote was derived from Sony’s page on EFCS, where it is mentioned that images might get cut off, blur or there might be differences in exposure. You seem to have a contradiction. First, you say “the first mechanical curtain is already open”, then you say “after which the first mechanical curtain opens” !!! SSM, Horshak is right – the front curtain is already open in live view, then it has to close and then reopen again, which causes even more shake. I have a Nikon D810 and have encountered these blurry photos probaly from shutter shake. I was using a tripod and noticed it was really prevalent at shutter speeds of 1/30 or 1/15 of a second. In terms of the D850 I do not understand the quiet or quiet c modes..
Dean, yes, it is particularly visible at slow shutter speeds that you have mentioned. If you turn EFCS on and shoot in Mirror Up mode, it will make a huge difference. As for the D850, EFCS is now available in both Quiet and Quiet Continuous modes, so you no longer have to always be in Mirror Up mode to trigger it. Nikon D7500 has EFC features. Ah, I knew I was forgetting something, thanks for letting me know! Second will the picture be blurry or have cut off ??? Debsankar, Fuji does not have EFCS on any X-series cameras. In order to reduce shutter vibrations, Fuji uses a dampened shutter mechanism, along with a slight shutter delay. Only the Fuji GFX 50S has the EFCS feature. You can of course use the electronic shutter release feature to completely get rid of vibrations, but that mode is unusable when there is any subject or camera movement involvement. Still, it works great when photographing landscapes. Electronic shutter works at very fast shutter speeds on Fuji X-series cameras, even allowing you to go past 1/8000th of a second. However, be careful when shooting action in this mode, since you will experience a “rolling shutter” effect, where your subject will appear distorted. Using live view in macro work with flash, the Canon behavior is particularly annoying. Only the short flash durations save the photos from mirror-slap/shutter-shock blurring. If the flash is being used as fill rather than the primary source then there is a problem. And while using live view, setting the mirror lock-up on has no effect – it seems that the live view stops, the mirror comes down, and then a normal mirror-up, first-curtain open, second-curtain close sequence seems to occur. Sigh. Just to clarify, that last sentence applies to using flash. When not using flash, normal EFCS occurs. Thank you for some additional info Shane, I appreciate it! Nice article and reminder about this feature. Thanks. There is also the “Exposure delay mode” setting on some Nikons (D850 = D4, D500 = D5 etc. ), that delays the shutter 1, 2 or 3 seconds after raising the mirror. Anders, I am currently writing an article on Exposure Delay Mode. Please note that EDM only affects the mirror mechanism – it does nothing to the shutter. So the 1, 2, 3 second timer is only good for mirror slap / vibrations. Nasim, are the sample photos taken with a tripod? I am assuming they were, so you could illustrate the effect of shutter shock while excluding the effect of camera shake resulting from hand-holding the camera. Thank you for a well written, and informative, article … as always. Harvey, yes, all the sample images were taken on a very sturdy tripod. Thank you for your feedback! I guess the heavier the lens/camera-combination is the less risk of shutter shock blur is to be experienced. I never ran into shutter shock blurs in spite of taking many images in low light and slow shutter speeds with the Nikon D800E (which does not have EFCS) . Even if there is some lightweight 50mm lens on it or the relative light 180mm f/2.8 AF-D. How is that? Is the shutter shock blur really a problem? I do hold my camera not differently than others I guess (but use my left eye). Btw: The first image shows two different before and after images which does not make a lot of sense. Jan, potentially, but not necessarily. The Nikon D800 / D800E is a pretty heavy camera, but its shutter shock is pronounced at certain shutter speeds and when using longer lenses. That’s because the D800 / D800E series have a pretty loud / undamped shutter mechanism. The D810 is better and the D850 improves damping even further. The problem with shutter shock, is that most people don’t even notice it. The image sometimes can appear very slightly blurry and people think that it is perhaps their aperture, weather conditions or the lens is to blame for not being able to resolve all the details. In reality, the damage is often done by the shutter mechanism. I have the D800E still and I can tell you that after the D810 came out, I bought one immediately, because the D800E was unusable for testing longer lenses in a lab environment. I wish Nikon followed Canon in this regard and implemented EFCS automatically when using Live View. Canon has been doing that for many years and Nikon shooters have only recently been given access to this important feature. Nasim, thank you. Because of your article I spent some time to gather more information about the subject. In short: There is not much difference between a D800 and a D810 (and D850). There is a peak around 1/40s where the shutter shock is affecting (a tiny little bit) sharpness. There are sample photos which should show a difference. But it is, if at all, visible only by pixel peeping. Mirrorless cameras are (said to be) more affected than DSLRs. And please allow a remark: The noise of a shutter/mirror is not necessarily related to vibrations. A short and hard landing (of the mirror or the shutter) might as well shorten the time vibrations occur. It is the resonance of the whole system which would affect sharpness. I might be lucky, but I never ever had any problems with shutter shock blur. I had to MLUP (mirror lock up) once in a while though. But that is another story. Jan, perhaps one might not be able to see much difference without pixel peeping, but I have to say, there was a very noticeable difference when testing lenses on the D800E vs D810 – Imatest showed very poor performance on the former. I have hundreds of tests I performed in the studio environment that clearly show this, so I am not just making this up. Put a longer lens on the D800 / D800E (200mm+) then shoot it at slower shutter speeds and watch the effect of shutter shock…it will be there! And in my experience, the sound of the shutter does often relate to vibrations. I have seen this with the D800 / D800E vs D810 and I have seen this on other mirrorless cameras as well (the original A7R vs later models). Nasim, I do not doubt what you have experienced and tested. Your base is clearly much broader than mine. To me it looks like some camera models are more affected than others and it depends heavily on the exposure time too which alters between different lenses (and bodies). Interesting was one article I read: There was a guy who fixed a laser riflescope on large lenses and watched the red dot dancing around when taking a photo. He used the mirror up function to discover just the shutter shock. He stated that prior to the Nikon F3 it was worse and since then it just got a little bit better with more recent bodies (F5 and D2H). Obviously this has been some time ago. But the test setup looks quite interesting. A simple laser pointer would do it as well. Another guy used a seismographic app on his phone and attached it to the camera. Anyway: Thank you Nasim for your articles and for the time answering in the forum. Pieter, the D810 was far better than the D800E and the D850 is even better than the D810, so yes, I agree, it does have the most damped shutter of the three. However, shutter speed can still be an issue at such high resolution, which is why I would recommend to use it when one wants tack sharp images. The Fuji XT-2 has an Electronic shutter option but you don’t list it. Can you explain the difference between the two if this is not an electronic shutter of the same type that you discuss in your article? John, the X-series cameras have an “Electronic Shutter”, which works differently compared to “Electronic Front-Curtain Shutter”. With the electronic shutter, the mechanical shutter is not engaged at all and the camera captures the image in fully electronic mode. This makes it prone to things like rolling shutter, where if you have a moving subject, or if you move your camera quickly, your subject will appear distorted in your image. With EFCS, only the front curtain is not engaged – the rear curtain still comes down at the end of exposure, so there are no rolling shutter issues. Thanks for your response. I get the subtle difference between the two. I think most of my exposures where I would use ES are going to be on a tripod. It is very good article. I will do it for my D500. Sidney, you are most welcome! I’ll try it on my D500, i can select it, but by taken a picture (with Nikon 70-200) at 300mm and a shutter speed 1/8, the camera don’t change the shutter speed to 1/320s (what was expected). What do i wrong? There is one situation, at least with Sony cameras, where EFC may not completely eliminate shutter shock. I have found that when using EFC in conjunction with continuous shooting, the first image of the sequence will be very slightly sharper than subsequent images. My interpretation is that the closing of the shutter mechanism to end one exposure causes vibration that degrades, if only slightly, the next image in the sequence. The solution, if your camera has it, is to use silent shooting (i.e., fully electronic shutter). Coming from the D800E and now with the D850, this is important to know. Once again, it is great to learn these things from your article. Thank you Nasim. I’m not normally super-techie so I often ignore internet chatter about shutter shock. I have always had it on by default in my D810, and as a landscape photographer, I’m often in LV. So the problem never reared its head until recently. Your article explained it very nicely. You are welcome KomradeKiev! When shooting with the D810, make sure that you are in Mirror Up mode, even when shooting in Live View. Make sure to use Exposure Delay Mode as well, so that you have zero vibrations. The only painful part is that you have to press the shutter release twice, but that’s not an issue for most people. Nikon fixed this on the D850, so that you only have to press once in Mirror Up mode, but the D810 still requires two releases. Using the above method, your images will always be tack sharp, provided that you have acquired proper focus. I have owned a D810 for 3 1/2 years. Just last week I bought a 14-24mm and a tripod. I went out shooting with EFCS enable and exposure delay mode set to 3 seconds and I only have to press the shutter once. How come? I have owned a D810 for 3 1/2 years. Just last week I bought a 14-24mm and a tripod. I went out shooting with EFCS enable and exposure delay mode set to 3 seconds and I only have to press the shutter once in mirror up mode. How come? Great article Nasim. . I recently purchased a Nikon D850 and would like to do some wide night sky images and close ups (100-300 mm). Most exposures will be between 10 and 45 seconds. Will EFCS have any impact on my exposures? Should I use Mirror Up with EFCS enabled? Does using Live View makes any difference? Thank you. Fernando, EFCS is practically useless at exposures longer than 1 second. So it does not matter whether you use it or not. Personally, I would keep EFCS enabled and use one of the Q modes or Mirror Up. Live view works very well, but you still need to be in either Q, Qc or Mup mode to engage EFCS. Hi Nasim, great information here. Quick question, if I have a Nikon D850 and go to Q,QC, or MUP mode will EFCS be auto enabled in those modes, or only if I manually turn it on in the settings will it be available in those modes? Is there a difference in achieving sharp moon pictures with EFCS on + Q mode versus just MUP mode? I guess I am asking a similar question. Mine is more specifically in regards to taking an amazing moon picture, what would be your ideal settings on a D850 be. Thank you in advance! Quentin, first you need to make sure that EFCS is enabled in the camera menu. Then, you can use modes like Q, Qc and Mup and you will be able to take advantage of EFCS. Whether you use EFCS + Q or EFCS + Mup does not matter much, but if you want to have zero vibration from both the mirror and the shutter, I would suggest using Live View + EFCS + Mup so that you have zero vibration from the mirror. Nasim, thank you for your quick reply. Ah, forgot about that one – thanks for reminding! I have added it to the list. I’m confused by the sentence above. Wouldn’t the sensor still need to be read electronically with a mechanical shutter? SSM, with a mechanical shutter, the sensor is always reset, so there are no delays or other potential issues. See the explanation provided by Horshack (1st comment) that explains the behavior in detail. Nasim, explained well, and a good read, thank you. Also supported but not listed is the Nikon flagship, D5, listed under custom menu d6. Thank you Roland, forgot about the D5 – added it to the list! Nasim, very good article! Thank you. Compared to focal plane shutter cameras, are leaf shutter cameras less prone to shutter shock? Matt, generally yes, since diaphragm is generally smaller in comparison and does not produce that much of a shock as the camera shutter. thanks Mr Nazim for the simple and clear article. currently having a Nikon D700, what is the other alternative to overcome this shutter shock. 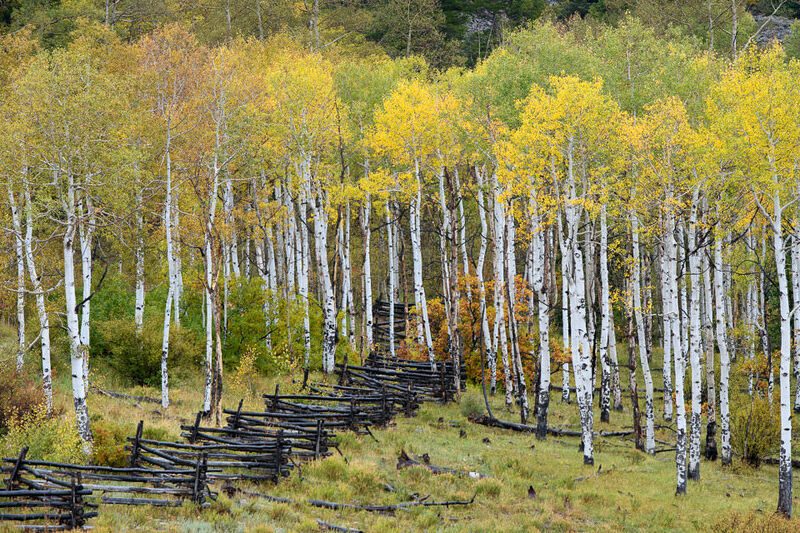 Shutter shock should not be that noticeable on a 12 MP sensor of the D700. I would suggest taking advantage of EDM + Self timer to reduce mirror slap. Nothing you can do about shutter shock though, since the D700 is not made with EFCS. Kudos for an excellent article and detailed explanation. EFCS is an obscure, but wonderful tool for the tripod-mounted camera. Combined with a 3-second Exposure Delay, this is the equivalent of free money from an employer-contribution pension plan. This combination will give you the very highest possible sharpness your rig can produce. If you shoot panoramas, test your lens at ISO 64 to find the aperture with the sharpest corner detail on your rig. This gives the sharpest results when the panos are stitched together. I am sure somewhere above some of this has been covered, but for those who use a D810 for landscape let me tell you exactly how to set this up – and it works amazingly, see the last few sentences of my post. Frame and focus the shot, and now you’ll need to operate the shutter twice, once to activate MU shooting, and the second to begin the exposure delay timer. On the first press, you’ll hear a ‘thunk’ as the mirror flips up and the first shutter opens. On the second press nothing happens – for 3 seconds – and then you hear a thunk as the second shutter closes and the mirror returns to normal. Is it worth it? I took a shot of a painted vase and flowers indoors in a bay window, first with the camera on a tripod, VR off, self timer 5 seconds and exposure delay 3 seconds to let the shutter press settle down. Next I took the same shot with the camera set as I described, for MU shooting, above – wow – the first shot was really sharp, the one with MU was staggering. Unless you go to 140 or 150% you may not see it, but that in itself tells us something important. With the improvement to sharpness MU can provide (and it is real, not a matter of perception) this means we can push enlargements even bigger if we need to! Wow. I bet the D850 used in this way must be frighteningly sharp! Nasim, thank you for the article, I had not really cottoned onto the fact that MU could do much, but for landscape work, and macro, which are my main two interests, it is going to be my standard mode from now on. Ross, thank you for your feedback! I wrote a detailed article with the best settings yesterday – see Exposure Delay Mode Explained. And yes, it does make a huge difference when you use the right combination of settings, I fully agree with you there. See my post above. This is what I do with my D810 and I only have to press the shutter once..not sure why mine is different? Any ideas? John, electronic shutter works very differently compared to a mechanical shutter with EFCS. With electronic shutter, you do get zero vibration, but if the subject or the camera moves, you will experience a “rolling shutter” effect, which will make the subject appear distorted. Jaw-dropping article, about a subtle issue that most of us would never even think to ask about — but can have a VERY substantial impact! And it explains the “barn door” sound of the A7R shutter. Thanks!!! Hi Nasim, I learn a lot by reading your technical tips. Thanks to take time to share them with us. On my D850, the EFCS setting is under D6 and not D5 as your print screen above. I have this app ( NCSU MyTech by NC State University ), which accesses the accelerometers in an iPhone. I also have a phone mount from now-defunct TriggerTrap that uses the camera’s hot shoe. I will do some experimenting. Putting a small mirror in this mount and monitoring the reflected spot from a laser pointer might produce better results, but harder to calibrate. I thought I would post some preliminary findings. At first, this seemed like an interesting way to quantify mirror slap and shutter shock, but it quickly turned into a bit of a swamp, with many variables, and only confirmed what everyone has already said. And the app just accesses the output of the accelerometers, so it does not show actual camera movement. This could be derived, using v=at, or d=at²/2, but the whole assembly of lens/camera/tripod is not going anywhere, really, and will behave like a sprung mass given an impetus. What it shows is that increasing the mass of the camera/tripod assembly reduces the effect, as F=ma tells us, so hanging one’s backpack or bag from the tripod’s center hook helps a lot to keep the rig steady and reduce mirror and shutter effects. It also shows that anything done to reduce the initial force transmitted by the camera’s internally moving parts is a good thing, so using EFCS whenever possible should be a rule to follow. I may return to this. The app produces .csv files, which can then be analyzed using Excel or other plot programs. BTW, the full undamped mirror and shutter acceleration for a Canon 70D appears to be in the range of 2cm/sec² at maximum, but often I saw values lower than that. Of course, it’s the movement during the shutter-open time that is important – we don’t care how much it moves after the shutter closes. Adding mass to the camera or tripod reduces this value. I can’t edit already-posted comments, unfortunately. I did a little more investigation. First, the accelerations I saw were misrecorded by me, and they are 10 times higher than that – around 15cm/sec². Second, when using the mirror-up feature, I found that all the detectable acceleration at the start of the exposure was from the mirror movement. I could not detect anything rising above the noise level at the times corresponding to shutter open. Shutter close and mirror descend were next, and on the same order of acceleration as mirror-up. Using Canon’s “silent” shutter feature made even these smaller. So, on a Canon 70D, it seems that just using mirror lock-up will produce good results, and using EFCS removes even the undetectable acceleration of shutter-open from the photo’s exposure. Using more sensitive accelerometers or motion detectors would provide better results. The noise level of these is around +-3cm/sec², and some of them are poorly zeroed, showing a constant small bias. So I’m done now. Thanks for providing the impetus for the research. All Sony SLT cameras support e front curtain not just the mirrorless. And it’s recommended in Sony’s manuals not to use with old Minolta lenses nor with third part lenses. Thanks, forgot about those – I added them to the list! If the rear shutter closes, let’s say from top to bottom, isn’t the bottom part of the sensor exposed longer than the top? Why is that not an issue? Is is somehow synchronized to the sensor readout? It is not an issue, because that whole movement happens faster than the sync speed of the camera, which is between 1/200 and 1/250th of a second on most cameras. The reason why you shouldn’t use flash faster than sync speed (without using HSS), is because that’s exactly what happens – part of the image gets improperly exposed due to the shutter mechanism not being able to catch up. Nice article. EFCS is very important in microscope photography. The shake is show stopping. In the past people had to mount cameras using various techniques to isolate the camera from the microscope. The basic canons (1000D/1100D,1200D,1300D) all use EFCS from live view. This is largely undocumented on these and in fact can’t be turned off – which fine by me as my 1200D never leaves its place attached to a photorelay tube on my trinocular microscope. see www.krebsmicro.com/Canon_EFSC/ for an article about this. It means of late these cameras are incredibly popular amoungst the microscope photography community and you can produce world class photography using them with a microscope. Thanks for sharing Ben, I didn’t know about this! Not to denigrate your article or the many excellent responses in any sense, but just to offer a correction to a too-often-made error, I want to point out that the use of the words “dampen” or “dampening” are incorrect as used in this application. The correct usage would be “damp” or “damping” in the sense of vibration reduction, as in Mr. Castle’s response above. Thank you for pointing this out! I fixed the typo and the article should read correctly now. A good article but I don’t see any reference to EFCS and using flash. Interesting article. Could you give a definition of EFSC? I can’t find a definition. When I say definition, I mean definition, and not what it does. The definition should start with EFCS is …etc…and not what it does. What it does come after the definition. I’m asking this because I know the definition of a table or a curtain, and even a curtain in a camera!! But I can’t picture what an electronic curtain is. None of the articles I have read give a definition. I need the definition before I understand what it does. Electronic curtain is counter intuitive to me!! I do not understand the principle because I don’t know what the definition is! Otherwise I like your article very much.